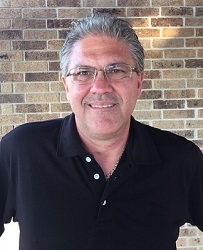 Homeowners in Leander, TX, find out … what a difference a patio can make! Looking at the Before and After photos for this project, you may wonder if it’s even the same house. Yes, it is! Amazing to think that something as simple as a patio transformed the outdoor living space at this home in Leander, TX, just north of Austin. OK, so it’s a jazzed up patio with an outdoor kitchen … yes! The homeowners originally had a builder-grade covered porch on the back of their home, but it felt oddly “closed in” without much light and definitely no room to grill out or entertain friends. Time to call Archadeck of Austin for one of our famous outdoor-living improvement designs. Give us a covered porch and we’ll give you an expanded combination outdoor living space where you can relax and entertain more comfortably. The first thing we did was add a patio, and it became an extension of the porch. Simply adding the patio seemed to open up the porch and create a flow from the porch out to the back yard. Then we added a gorgeous cedar pergola over the patio. Adding the pergola made a huge visual impact, defining the space and whispering: This is where you want to be. The slats on the pergola are fairly close together, so the structure will add a good amount of shade but still retains an open-air feeling that the home’s covered porch lacked. 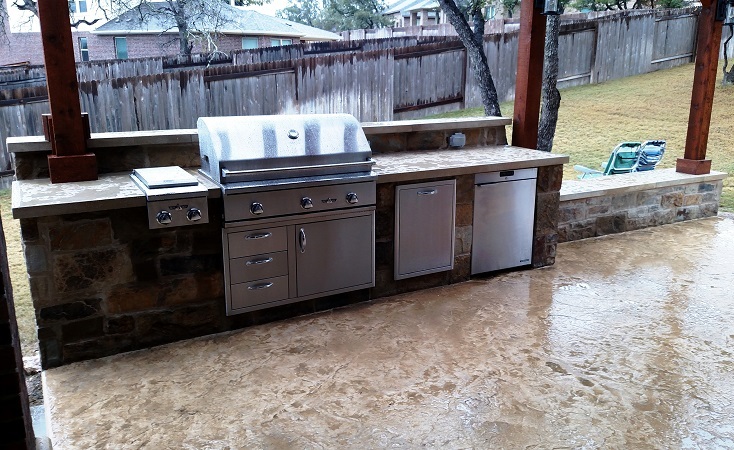 Next, we built an outdoor kitchen along the back of the new patio using chop block stone. Because the kitchen structure didn’t need to extend across the full length of the patio, we had room to add the perfect stone bench from the end of the outdoor kitchen to the end of the patio. This low wall enables you to seat more people for a casual gathering without having to crowd the space with so many chairs. Think of it as overflow seating. 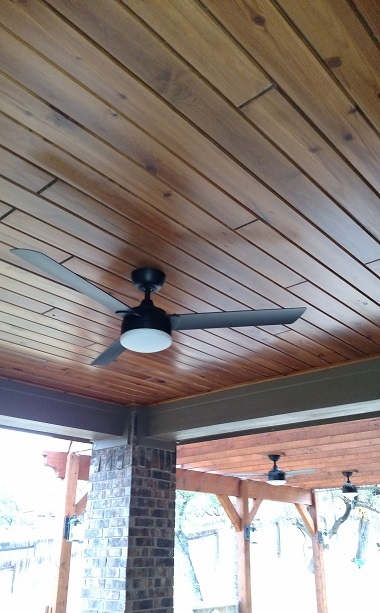 At the homeowners’ request, we made a few improvements to the covered porch, too, most notably the new Synergy Wood tongue-and-groove ceiling we installed. We love Synergy Wood ceilings with their rich wood tones. Finally, we completed this combination outdoor living project with a stunning concrete overlay that adds texture and color to the patio surface. We designed the same overlay for the floor of the patio and the covered porch, tying the original and new areas together. 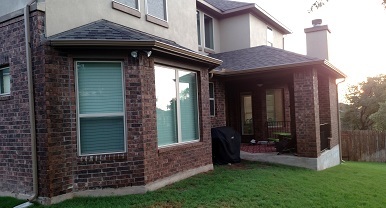 The patio looks as much like it was original to the home as the porch does. If you are looking for a creative design to expand your outdoor living space, contact Archadeck of Austin today at (512) 259-8282 or via email to schedule a free design consultation.